No Obligation 3 minute loan request! Medical expenses often arise when you least expect them. And medical providers expect quick payment. 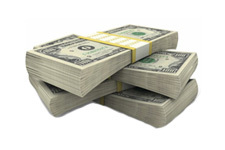 If you are uninsured or underinsured, you may not have enough cash on hand to pay what are often very large bills. Even if you do have good medical insurance, co-pays, deductibles, and other out-of-pocket expenses can add up quickly. A medical loan may provide the solution to the problem of paying medical bills. These loans allow you to spread out the payments over time. You may qualify for a medical loan even if your credit is not the best. Securely shop for a 3 rd party lender directly or through a participating network. The smart engine searches the Loanry® Store to connect you with a 3 rd party lender directly or through a participating network. Cash may show up in your account as soon as tomorrow. When you are injured or need emergency surgery, there is no time to worry about how you are going to pay for your medical care. A medical loan may relieve the burden of worrying about money and let you or your loved one focus on getting better. Fertility treatments are expensive and are not always covered by insurance. The cost can be as much as tens of thousands of dollars. A medical loan may help make your dreams of getting pregnant come true. Even if you don't have good credit, you may still be able to get a medical loan. 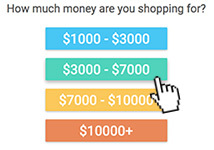 One option is to shop for a loan online. That's a quick and easy way to see if you can find a lender who wants to work with you. If your credit is good, you may be able to get a medical loan with favorable terms. Get a quick answer by shopping for a loan online. Cosmetic surgery and other cosmetic procedures are expensive and are often not covered by insurance. If you have your heart set on a cosmetic procedure, a medical loan may help you afford it. Major dental work, such as root canals and implants, comes with a high price tag. Many people don't have dental insurance, and even if you do, the dental insurance has many limitations and may pay only part of the cost. A medical loan may help you get the dental treatments you need. Pets, like their human companions, may need unexpected and expensive medical care. A medical loan may help pay for your vet bills so you can provide what your animal friend needs. Eye surgery may be expensive, but it's not something you should put off. Even routine vision care may strain your budget, especially if you don't have a vision insurance plan. A medical loan may help you take care of your important vision care needs. Hearing aids have a high price tag, but add greatly to your quality of life. A medical loan may help you get the hearing aid you need. Why Get a Medical Loan? The out-of-pocket costs of medical care can be high even if you have a good medical insurance plan. Unfortunately, many people have plans that aren't very good, or they aren't insured at all. Getting a personal loan to pay for medical expenses is one option that may help you pay your medical bills on time. Health care providers typically send bills to a collection agency if they are not paid on time. By taking out a personal medical loan, you may avoid the stress of dealing with collection calls and worrying about your credit being damaged. A medical loan may give you the peace of mind that comes with knowing that your medical bills are taken care of and you can focus your full attention on your healing, without the distraction and stress of worrying about money. The internet has revolutionized the way people get personal medical loans. At Loanry.com, we match people who are shopping for loans with lenders who are looking for customers. We use cutting-edge technology to make the loan shopping experience quick and easy, so it's one less thing to worry about. Just fill out a short form, press a few buttons, and our engine will look for lenders who can meet your medical financing needs.